In July, during the New Zealand university holidays, we would like to tour all the cantons of Switzerland, or the same in France visiting the western regions. We have no desire to be running from one venue to the next to conquer whole cities, but rather, to spend peaceful days in little villages along the way, in the mountains, or in the countryside, where we would like to walk and climb without pressure. Is there such a thing? 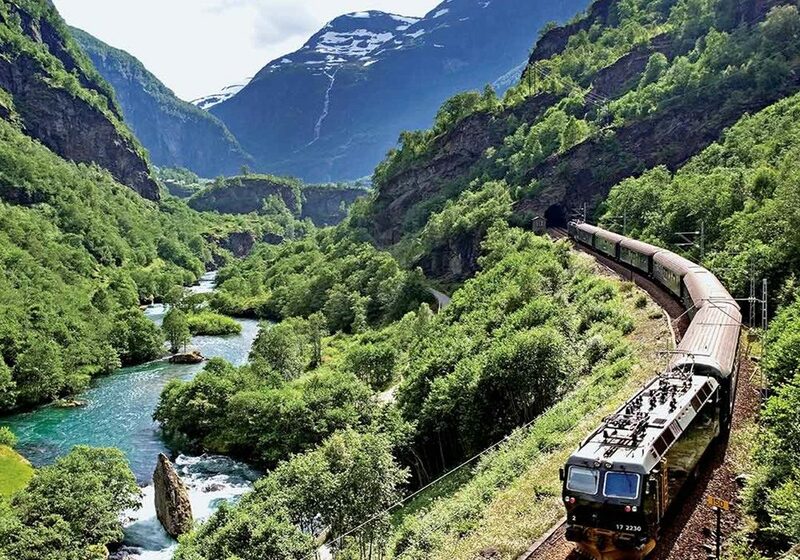 If you want to explore these beautiful destinations at your own pace, I’d recommend doing it by rail. The best way to keep your options open and not be bound by a schedule is to buy a rail pass before you leave. Rail Europe sells Eurail passes and can help you find the one for your needs. The Eurail Global Pass lets you explore up to 31 European countries; prices vary depending on how many travel days you require. Basically, on each day you designate as a travel day, you can use the rail network of whatever country you’re in as much as you want. You can buy separate passes for Switzerland and France. Some of the more remote French villages are not accessible by train, so you may have to travel by bus or taxi for some legs of your journey. I used the Eurail Global Pass while travelling in Germany and Denmark last year and found it worked really well, especially if you decide to change your plans along the way. However, if it’s a busy route, you may need to reserve a seat in advance, which usually costs about $10 extra. I’ve also travelled in Switzerland using the Swiss Rail Pass and it was an amazing experience — the views along the way are truly incredible. If you decide to book a Eurail pass, you’ll want to do it soon — Rail Europe has a 10 per cent off earlybird special that ends on April 9. Otherwise, if you know the exact dates you want to be in each village, it can be cheaper to book each train trip separately. It is important to book well in advance, as fare prices increase closer to the date. Another option is to rent a car and make your own way around if you’re comfortable with driving overseas. But taking the train is the most relaxing and leisurely way to see Europe. Brian Griffiths wrote in response to my March 19 column about finding your “waka” — or the plane you first moved to New Zealand on. I’ll add a note for all the aviation geeks out there who might want to see this incredible vintage aircraft for themselves. Operated by Tasman Empire Airways Limited (TEAL), Motat’s Aviation Display Hall holds the world’s last remaining Solent flying boat, the Aranui, which took passengers on the Coral Route around the Pacific Islands in the 1950s. After an extensive restoration and repainting programme, it was moved back inside just last week and has the tail attached for the first time in years. While you’re there, you can also see a Sunderland flying boat.